1. Tell us about Figment. How it came to be and what people can expect when they stop by. I started teaching process art camps out of my home when my boys were little. Creating projects and finding fun ways to introduce them to art kept me sane and kept them busy. All my friends said they would love for me to do that with their kiddos, so I did. I opened our home up to friends, and soon friends of friends, and then friends of friends of friends enrolled their kids into camps and workshops I hosted. As my boys got older, their interests were drawn to science and math. I started incorporating more and more fizzy explosions and engineering projects into our daily routine, and the curriculum naturally evolved from art to STEAM (Science, Technology, Engineering, Art, Math). I’ve always felt that learning through creativity and hands-on projects is the best (and most enjoyable) way to learn and retain knowledge, so creativity remains at the heart of all we do at Figment. 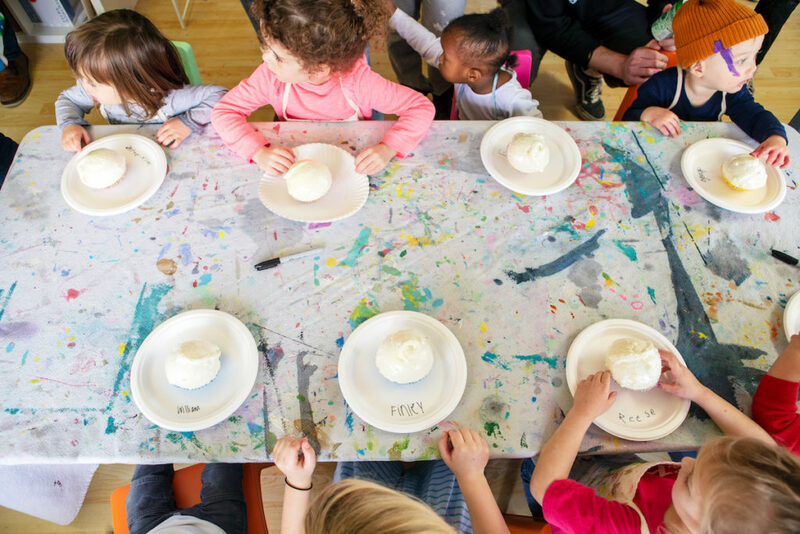 Today, Figment Creative Labs is a creative space for all ages that starts out with messy sensory play for the littles and graduates into action art and process art as they get a little older. We offer open studio time for kids to explore their own creativity, STEAM Camps, and a maker-space with real tools for the older kids (and kids at heart). 2. Is your background in art? I’ve been into art as long as I can remember. I got my BA from LSU, majoring in General Studies with minors in Art History, Painting and Drawing, and Business Administration. When I moved to Austin after college, I substitute taught for a while and tried to only pick up the art teacher jobs. I did some teaching at the Dougherty Arts Center, then took a job as Gallery Director at the Stephen L Clark Gallery until I had my babies. My students are my biggest teachers. I learn something new from them everyday. 3. What ages does figment serve? 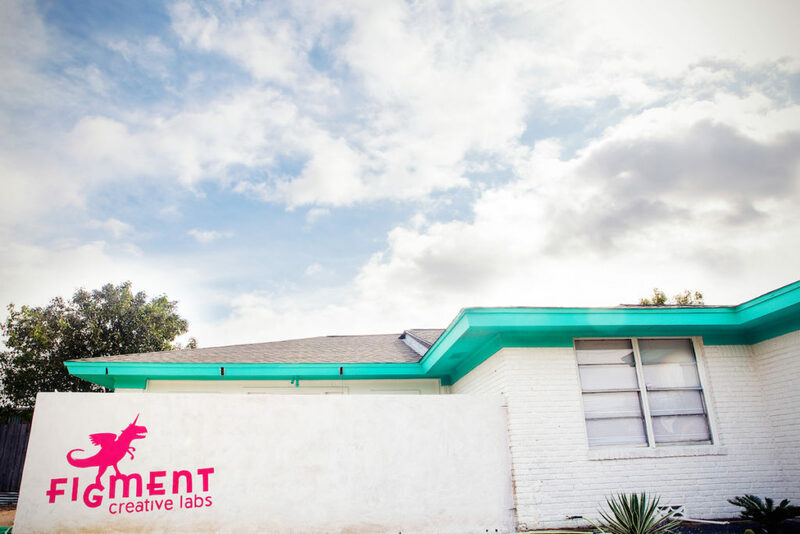 Figment Creative Labs is a creative space for ALL ages. 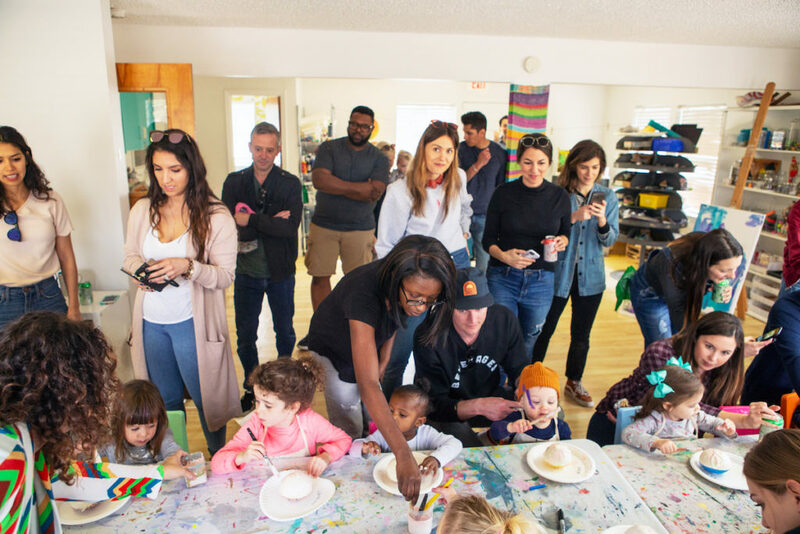 We start with “mommy and me” toddler art play groups, grow into creative preschool for 3-5 year-olds, and drop off day and summer camps are for kids 3 to 11 (divided into three age groups). We also host ladies art nights, artist workshops and art birthday parties. 4. Tell us about the design and layout. Did you work with a designer or did you have a layout in mind when you moved Figment to this location? When we purchased the new Figment location, it was a Montessori school that was moving up the road. Luckily they had outgrown the building, but for me to move from my garage to this space was a huge leap! I didn’t know how I was going to fill it. (I have. Every bit of it.) After the Montessori school vacated, we only had two months to do renovations before the grand opening and the start of our summer camps. My husband Jeremy took off work and worked with the crew everyday to get the work done. I didn’t work with a designer. Jeremy actually designed all of the landscape and architectural changes. We knew we were working with an old building that has its flaws, but we brightened it up and it’s perfect for us. @averyodesign painted some amazing murals inside that really adds our personality to the space and makes it pop. Outside we have a butterfly and vegetable garden, a chicken coop, a mud kitchen and a large area for creative play. 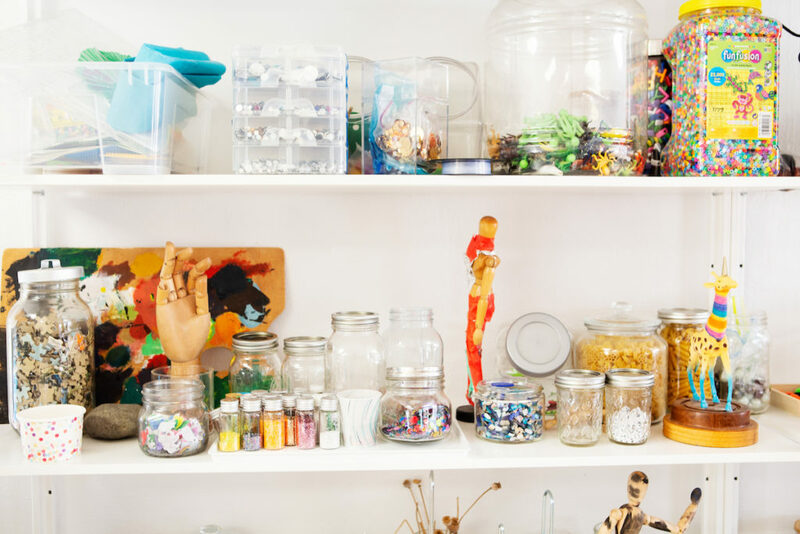 Inside we have a dedicated makerspace, a discovery lab, a creative preschool classroom, a toddler play group area, and — of course — an art studio. 5. I was so excited to learn about the preschool. Tell us about it and what type of curriculum it follows. 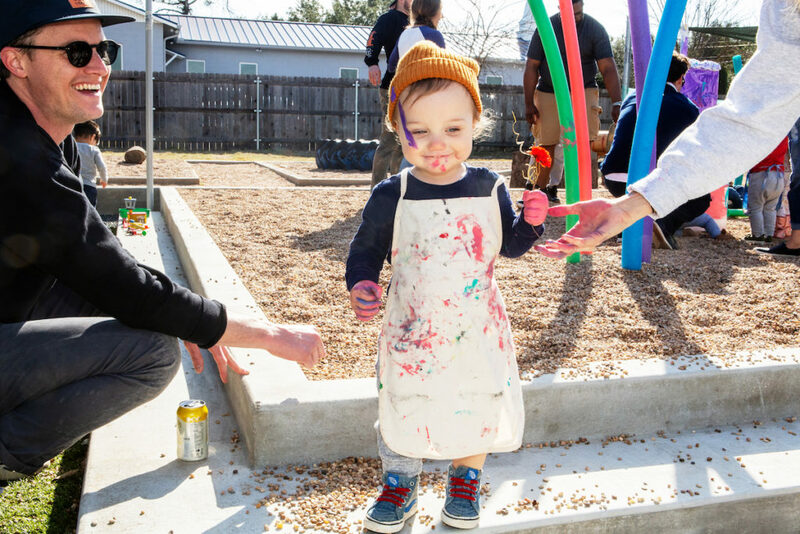 The creative preschool at Figment is based on the belief that creative expression and play are fundamental to a child’s emotional development. Monday through Thursday, we offer a variety of sensory, exploratory and hands-on activities designed to spark each child’s unique imagination. 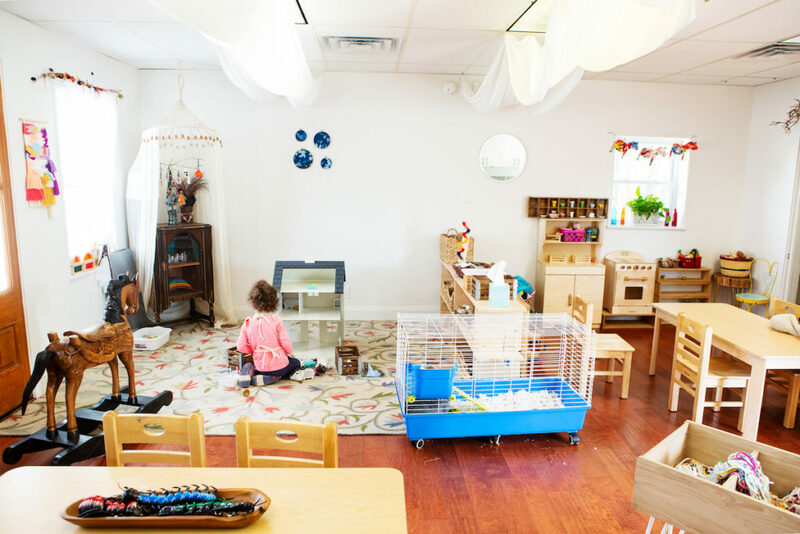 We’ve created a loving and safe environment that fosters creativity and analytic thinking. Each day’s rhythmic routine includes creating art and learning through play, circle time (songs, games and stories) and practical tasks. Our preschoolers also engage in ample outdoor play and — weather permitting — enjoy lunch picnic style. Time spent with Figment’s bunnies and chickens provide fun, hands-on lessons in compassion and nurturing. 6. Figment encourages messy play! What do you say to parents who don’t see the value in that? I say “Better at Figment than at your kitchen table!” No, I definitely encourage messy art play at home, but it is nice to have us clean up the mess. I understand that some people just hate the mess, but messy play encourages a child’s freedom to discover new things. The world is still new to them, with new textures, sounds, and words. They’re also still learning about sharing and interacting with others. Creative play lets them explore these new sensations, practice using their decision making skills (for example, which tool should I use? ), to work on fine motor skills, and to share the space with friends. 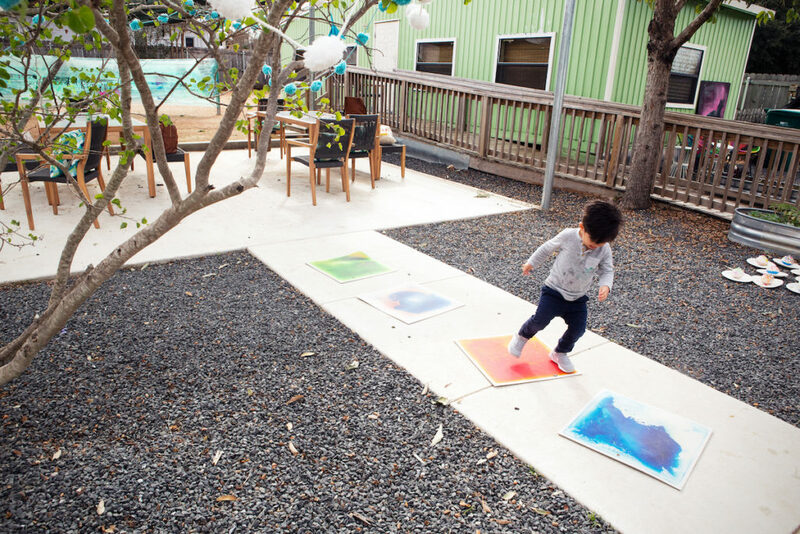 Stomping around like a dinosaur, splattering paint on their own masterpiece, and digging for treasure in a bin of colored rice may seem chaotic to adults, but these moments are so important to a child’s development. They’re building confidence and learning how to interact with the world around them. 7. Serena’s birthday party was the best! 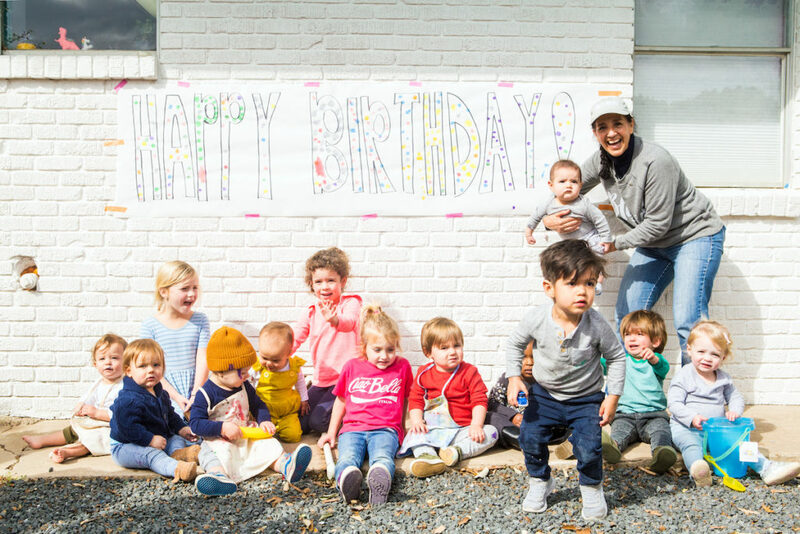 Tell us about the services you offer for birthday parties. Our art birthday parties are somewhat custom. You tell me the birthday child’s age and likes or the party theme and I plan the take home project accordingly. There is always a large canvas that the party guests paint as a collaboration piece for the birthday boy or girl take home. 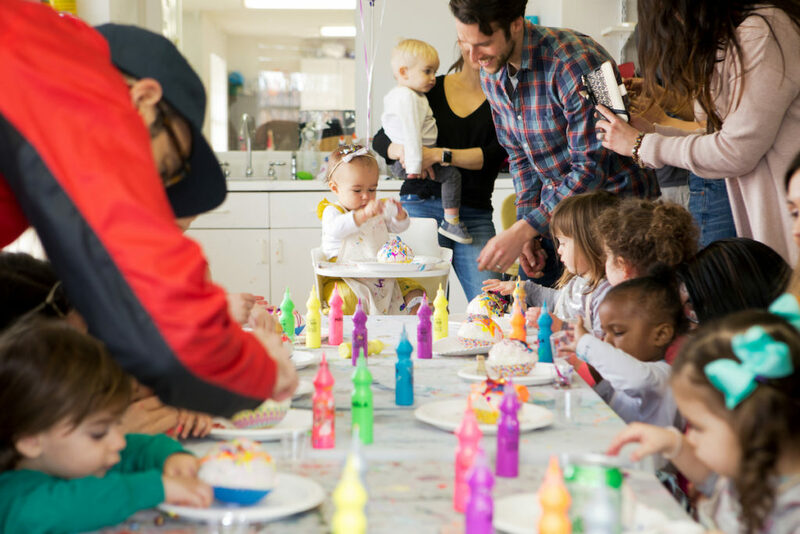 We split up our time in the discovery lab, where we decorate a birthday banner and guests are welcome to play with our assortment of activities (Lego center, marble runs, etc.). If it’s nice out, we may go outside to play and feed the chickens. The exact plan for the party is largely tailored to the age of the participants. An assistant and I lead the kids in a big craft project that each child will get to take home. We supply all the art supplies, plates, utensils and balloons. 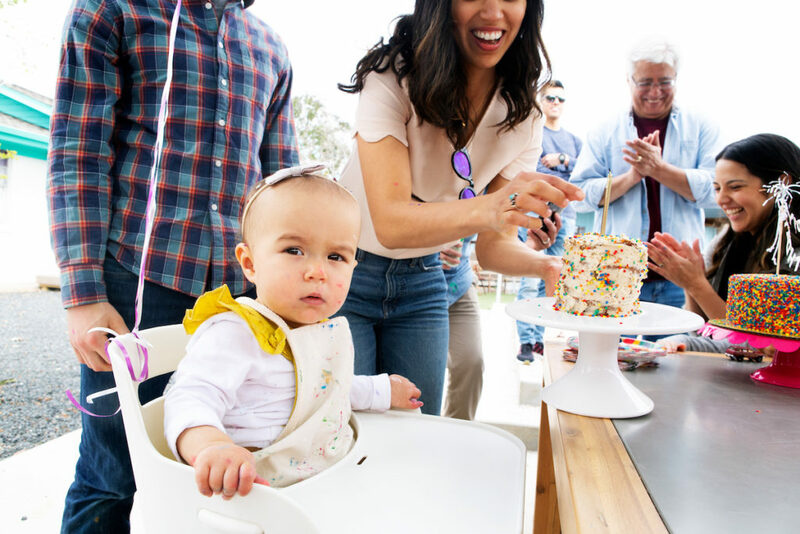 You just bring the cake, food, drinks and the birthday kid! 8. What’s next for Figment? Registration for summer camp is now open and they fill up fast. Summer is definitely our busiest and best time of year! For more on Figment, follow on instagram and subscribe to their newsletter here.